How do you want your baby to be born ? What is the most important event that happened in your life? Birth! Coming into this world was quite an event. Although you don’t remember it anymore, the circumstances in which you were born could have caused traumas that you are still carrying around, unconsciously. People who have been regressed through hypnosis to the moment of birth have remembered unpleasant experiences that caused psychological problems later on in their lives. "Allow me to share the following story with you. I can attest to its authenticity, for it is about me. I was born in 1915, on June 22. One month later I became a ward of the state. I will pass over my childhood and adolescence, which were exceptionally happy. Nonetheless, I often had bad dreams at night, and one in particular, which was particularly vivid, woke me up every time. The admirable foster-mother who raised me would then take me into her bed and comfort me. This ghostly vision was always the same: a middle-aged woman, wearing an old-fashioned bonnet, would reach for my throat with such obvious intentions that I would scream ... and wake up. This nightmare is still very vivid in my memory for the following reason: it haunted my nights, about a dozen times a year, until I was about forty (my husband was the one who would comfort me then). Well, when I was thirty-nine, without having looked for her, I found my mother again. She explained the reason why she had abandoned me. She was unmarried, and as soon as she confessed her "sin" to her mother, the latter flew into a horrible rage. At the moment of my birth, in a little village near here, she threw her daughter down off the bed and leaped onto me, trying to strangle me. Some good neighbors, who were present, called the nuns from the little hospital nearby, and they took us both away. Faced with repeated threats from that irascible grandmother, my mother took me herself to the Public Assistance office in Privas as soon as she was strong enough to make the trip, which was a long one in those days. When I asked her what that woman looked like, I had the (totally unexpected) surprise of recognizing, in her description, the woman who had caused me so many nightmares. I, of course, have told this story to all of my children, waiting for the time when I could speak of it to a specialist. Now it has come! I hope that this will corroborate your thesis on the ability of the baby to feel: the already conscious state, of a new-born baby. If it is possible for you, I would like you to give me your feelings about my story, which is totally truthful." Frederick Leboyer, M.D. was a French physician who was responsible for creating the awareness in maternity wards of the intact an functioning senses of the newborn. 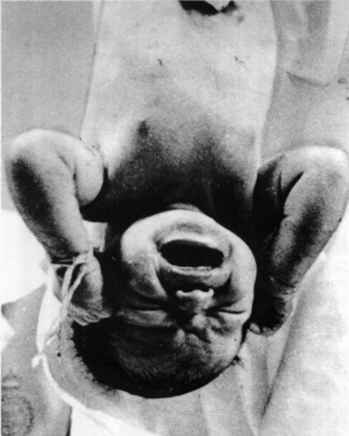 Many doctors at the time even thought newborns to be blind at birth! His revolutionary book "Birth without Violence" changed the way in which many parents and professionals bring babies into the world. When I first read Birth without Violence it opened my eyes. Birth without Violence explores in depth the sensitivity of the newborn and the importance of how the baby is handled by the people around him. I first read the book after I had seen a TV program about ‘natural births’, in which Leboyer was teaching pregnant women how they could communicate with their yet unborn babies. He taught that the baby in the womb is able to intuitively understand what the mother is saying, not the actual words, of course, but what she wants. He would teach them to put their hands on their belly and tell the baby to move upwards or downwards in the belly, and yes, after five or ten seconds touch could clearly see that the baby did move into the desired direction. It worked every time. Leboyer's focus was primarily on improving the quality of the birth experience for the baby. His message was that a sensitive, unobtrusive style of care which is deeply respectful of the natural process, and a peaceful atmosphere at the time of birth would help the baby to be born with a minimum of trauma. His famous book and film 'Birth Without Violence' inspired mothers all over the world to want to give birth naturally and in a more quiet atmosphere. Birth Without Violence illustrates how to create an environment of tranquility in which to welcome our children: a relaxed mother, gentle lighting, soothing atmosphere, and a warm bath that mirrors the child’s prenatal surroundings. 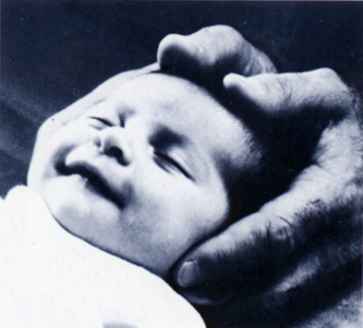 Dr. Leboyer’s simple techniques demonstrate how a birth without violence has far-reaching implications for improving the quality of human life physically, emotionally, and spiritually. Leboyer's book, Birth without Violence, is available at the bookstore, it is published by Healing Arts Press, ISBN 0-89281-983-9. It has also been published by Publisher Cedar, ISBN 0 7493 0642 4. You can read it online at http://www.eco-action.org/dt/bwv1.html . Let me bring to your attention another interesting book: "Spiritual Midwifery" by Ina May Gaskin's (originally published in 1975). Ina May Gaskin and her husband Stephen were the founders of "The Farm" in Tennessee, USA. A self-sufficient community that was started by creating a safe place for women who wanted to birth with freedom. Ina May is known as the "mother of midwifery" and editor of "The Birth Gazette" a midwifery magazine. Visit her site at www.thefarm.org . Considered a seminal work, Spiritual Midwifery presented pregnancy, childbirth and breastfeeding from a fresh, natural and spiritual perspective, rather than the standard clinical viewpoint. The book is available through Book Publishing Company.